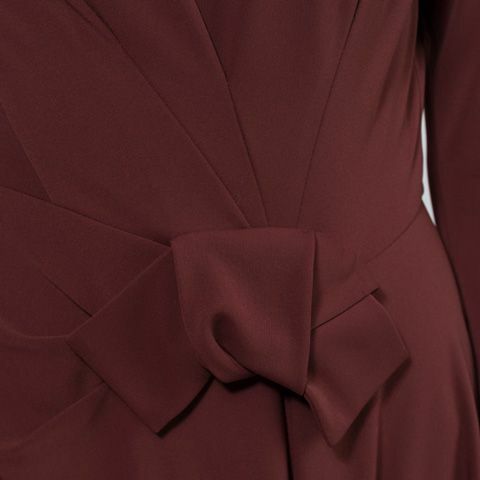 Individually handmade, our flare silhouette dress in warm burgundy features an intricate design with pretty ribbon detail and flattering seams, with asymmetric flared skirt. Pair with a matching suit jacket for work, and kay me Select scarf for evenings. Soft, stretchy and machine-washable, our premium jersey is both practical and luxurious. Fun and feminine, this A-line style features a generously-flared skirt. With an elegantly structured bodice and Japan-influenced waist-knot, step out in this chic style.